Kim Dotcom (Megaupload owner) launched a website with 50 GB free Storage & more. 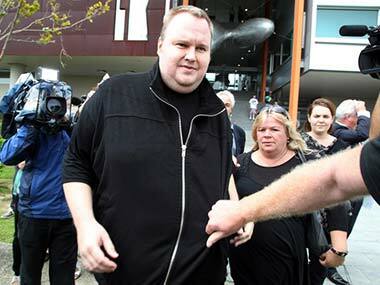 Megaupload founder Kim Dotcom launched a new file-sharing website on Sunday. Megaupload, which Dotcom started in 2005, was one of the most popular sites on the web until US prosecutors shut it down, accusing Dotcom and several company officials of facilitating millions of illegal downloads. The decryption keys for uploaded files are held by the users, not Mega, which means the company can’t see what’s in the files being shared. Is Mr. Dotcom back at his Megaupload.com business operation? Yeah he is back, but this time with his website www.mega.co.nz not megaupload. Hope it attracts the same no. of web traffic as megaupload did!